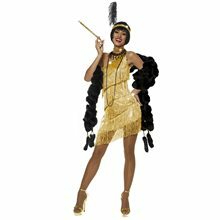 Gangster Moll Adult Costume.Includes: Coat, Pants, and Tie.Available Size: Womens - Small (5-7), Womens - Medium (8-10), Womens - Large (11-13), Womens - X Large (14-16). *Gun, Hat, Shoes and Stockings Not Included.Care Instructions: Dry Clean Only.Material: Polyester.She means business...Mind it she is gorgeous..She is beautiful but She is Dangerous too. Gangster Moll Pink Adult Suit.Includes: Jacket, Pants and Choker.Available Size: Womens - Small (5-7), Womens - Medium (8-10), Womens - Large (11-13). *Shoes, Gun and Hat Not Included.Gangster Moll Pink Adult Suit includes a high quality polyester pinstriped double breasted tapered jacket with matching pinstriped pants with elastic waste, and matching fabric dollar sign tie with elastic choker.